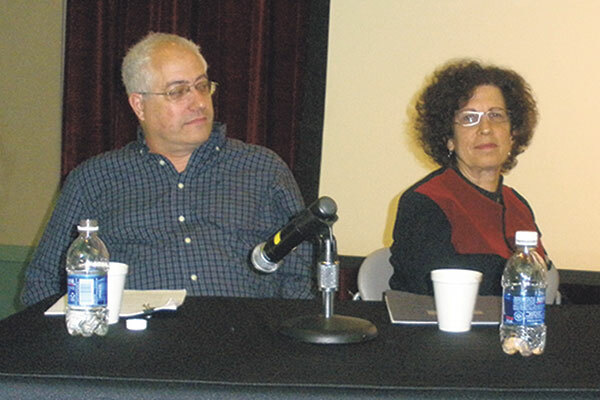 Dr. Michael Feige and Bildner Center executive director Dr. Yael Zerubavel appeared together at a 2012 panel discussion at Rutgers. The executive director of Rutgers University’s Bildner Center for the Study of Jewish Life remembered Dr. Michael Feige, killed in the terrorist attack at the Sarona Market in Tel Aviv, as both a friend and colleague. 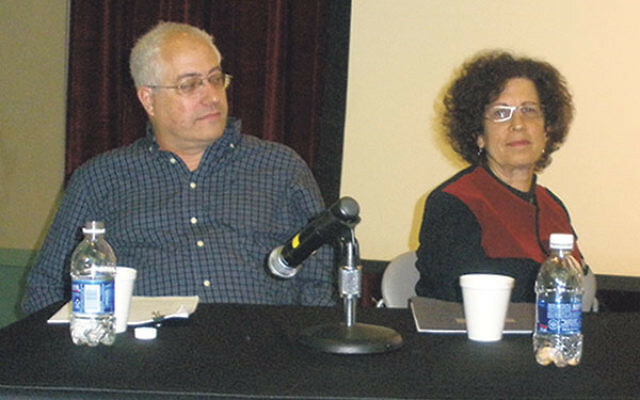 As a supporter of Peace Now, Dr. Yael Zerubavel said, Feige would have rejected any attempt to use the terrorist act that killed him to thwart efforts to achieve peace in the region. Feige, a renowned social science professor at Ben-Gurion University of the Negev, was among the four murdered and three injured June 8 by two Palestinian terrorists who opened fire at a restaurant. “It was really shocking,” said Zerubavel, who heard about the attack that evening, but didn’t know who the victims were until she awoke the next day to several e-mails from friends and colleagues in Israel who knew of their friendship. Feige appeared at Rutgers several times, including as part of a 2012 panel discussion on memory and dissent in contemporary Israel, at which he discussed “The Many Natives of Jerusalem: Nationalism, Archaeology, and Fundamentalism in a Contested Land.” He spoke of the complications arising from a controversial archaeological dig in the City of David in east Jerusalem that triggered confrontations between Israeli security forces and haredim, who claimed an ancient Jewish burial ground was being disturbed, and led to the evacuation of Palestinians by religious Jews from the area of the dig. Feige said at the time that the excavation raised ethical and moral questions regarding respect for other religious traditions, national identity for both Zionists and Palestinians, and an understanding of heritage and repatriation. On its Facebook page, the Bildner Center wrote, “He will be deeply missed,” and noted that Feige was not only Zerubavel’s close personal friend but also “a friend and colleague” of its entire Jewish studies faculty. The 58-year-old Feige was head of the Israel studies track in the Faculty of Humanities and Social Sciences at BGU and a member of the Ben-Gurion Research Institute for the Study of Israel and Zionism. A sociologist and anthropologist, he specialized in Israeli society, collective memory, and political myth. His book Settling in the Hearts: Jewish Fundamentalism in the Occupied Territories won the Shapiro Prize for Best Book from the Association for Israel Studies in 2010. One of his more notable research studies, recorded in his book One Space, Two Places, was a comparison between the left-leaning Peace Now, which favors a two-state solution, and the Gush Emunim settlers’ movement, a right-wing group advocating Jewish settlement in Gaza and the West Bank. “I followed his work since I was a doctoral student,” said Zerubavel, and in the years since, she said, their professional lives intersected in many ways. Zerubavel had issued an invitation to Feige to be a visiting scholar at Rutgers, and she believes he would have eventually accepted. Feige, who is survived by his wife, Nurit, and three daughters, received bachelor’s, master’s, and doctoral degrees in sociology from The Hebrew University. He formerly was a fellow of the Katz Center for Advanced Judaic Studies at the University of Pennsylvania and a visiting professor at Brandeis University.